Family Abuse Center’s dancing with the Waco Stars will take place on September 26, 2019. The doors will open at 6:00 pm and dinner will be served at 7:00 pm. Family Abuse Center is hosting their Annual Domestic Violence Conference on October 30, 2015. This all day training will be held at the Baylor Law School, 1114 S. University Parks Dr., Waco. Legal and Criminal Justice professionals as well as Social Work professionals are encouraged to attend and receive continuing education credit. Check in begins at 8:00 am. For ticket purchasing and more information, please click the below, or call Family Abuse Center at 254.772.8999. A free workshop covering the basics of domestic violence as well as ways churches and pastors can help eliminate family violence in their communities. The workshop is put on by the Family Abuse Center. Presenter will be Micah Titterington, M.Div. 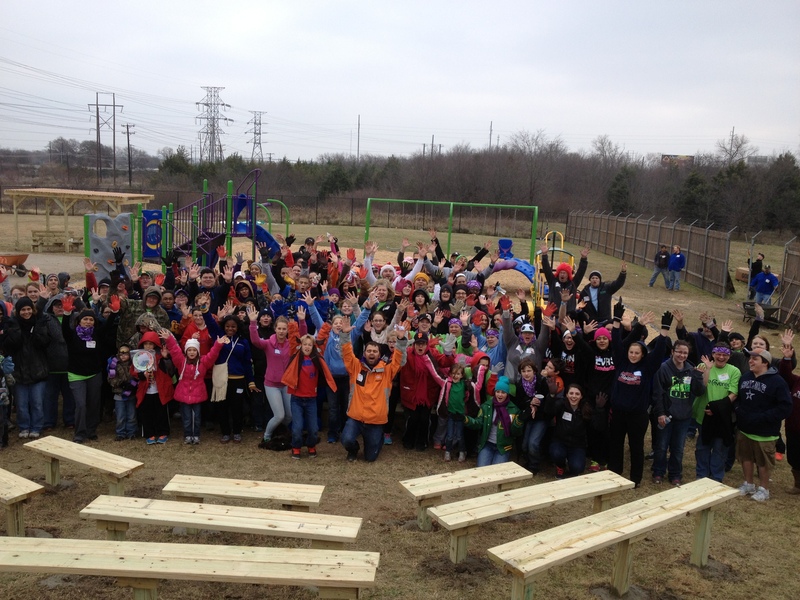 More than 256 volunteers joined Family Abuse Center staff to build a playground in one day. KaBoom organized the event and Blue Cross Blue Shield paid for the playground equipment. It was a true festive occasion that even the cold could not dampen. The DJ played upbeat music. Blanek’s Catering provided the lunch and many other businesses donated food. We all ate well and stayed warm working hard. Tomorrow December 18, 2013 will be play day. It will be the first day that our kids actually get to climb and swing on the playground. They can’t wait. There are no words adequate to say thank you to KaBoom, Blue Cross Blue Shield and all those wonderful volunteers. Today Barnett Contracting brought in some equipment and a couple of wonderful workers. With help from Manna Works, they removed the old playground and leveled the ground so that our site is ready for the new playground. 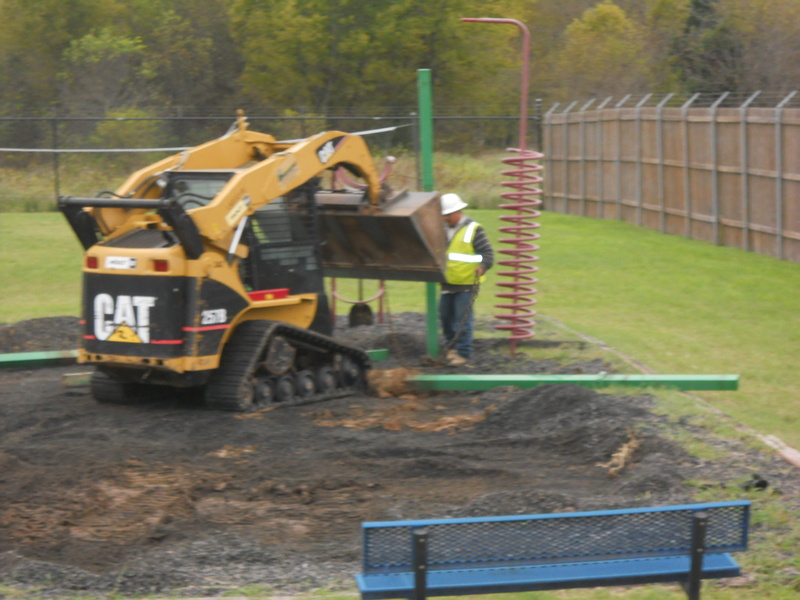 The Build Day for the new custom designed playground will be December 14. To volunteer to help, contact amy.reagan@familyabusecenter.org. Thank you Barnett Contracting!